October 15, 2011 /Photography News/ Most of us have a large collection of aging family photos, slides and negatives, but no matter how carefully packed or protected, they tend to fade and decay, washing out a part of our lives. Avoid exposure to direct sunlight. Light is one of the biggest enemy of photographs. Avoid garages, attics or basements because they rarely have insulation or controlled temperatures. Excessive low or high humidity and temperature can both lead to chemical reactions, destroying the photo prints by producing cracks on the image surface. A suitable environment for photos is a cool, dark, and dry place that doesn't cause the emulsion to crack and the colors to fade. Avoid wooden boxes since they are rarely acid free. Store pictures in plastics like polyester, mylar, plypropylene and tyve, or in acid-free paper boxes with acid-free paper dividers. If a photograph tears, don’t use tape to fix it. Do not write on the back of your photos with standard ball-point or felt-tip ink pens. Most ink contains acids which will stain your photos over time. Do not attempt to clean photos, slides or negatives, as they are produced by many different techniques, some of which require professional cleaning. Wear gloves when handling photos, slides and negatives. Dirt, dust, and oils on your hands can damage the photo materials. 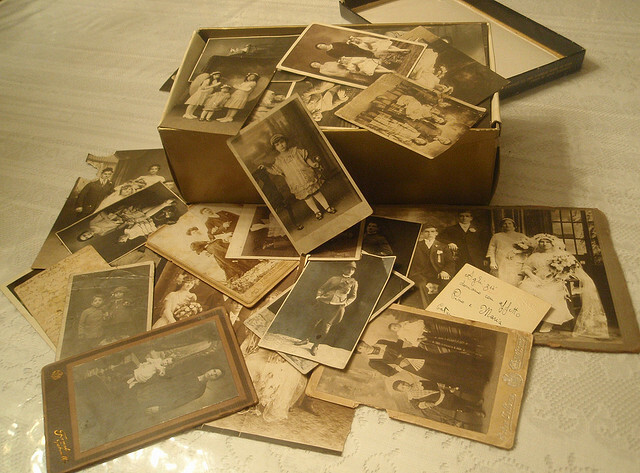 Scan your photos, negatives and slides, and repair the damaged or aged photographs. Digital versions of your old photos, slides and negatives can be preserved for longer in different ways and it also allows for sharing with other people and family members. Scanning photos one at a time can be a very time-consuming process, and if you've got a huge amount of photos you'd like to scan, it's often faster and easier to trust a company specialized in photo scanning to do it. Companies like GoPhoto have the resources available not just to scan photos, slides and negatives, but also to completely restore aging photographs, remove flaws, repair scratches and repair color degradation. They also create an online album with your images that allows to easily share them with your family and friends. If you’re making new archival prints, only use top-quality acid-free, archival paper to print on, but never throw the originals. Have more tips? Let us know how you preserve and protect the images you value. DPS Dave photo scanning service is available at a more cost effective rate than any other enterprise. Online photo scanning service advantage and a cooperating helpline are more than one can expect for in return of their dreadfully low rates. This is definitely the best photo scanning service in town to choose for sure. Thanks dear for this post. I am providing servicies of court case problem solution.